“We would like everyone in Malta and Gozo to have the chance to take part in Valletta 2018. Projects like Darba Waħda foster solidarity between generations through play, creativity and imagination” - Valletta 2018 Programme Coordinator Margerita Pulè. 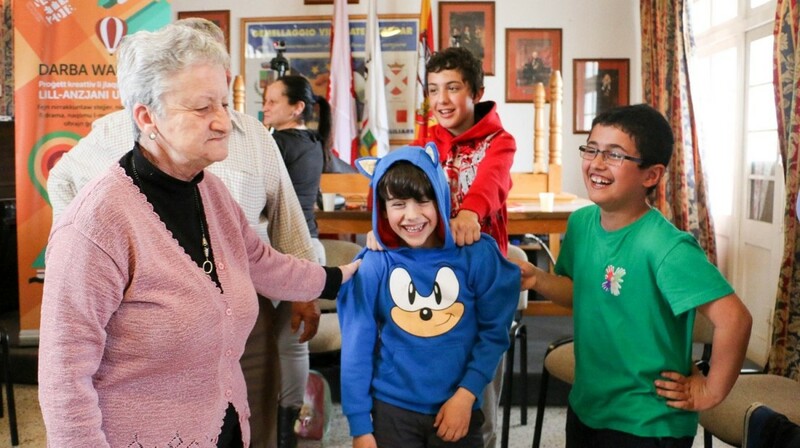 The Valletta 2018 Foundation has marked the EU Day for Solidarity between Generations during the community project Darba Waħda. Valletta 2018 Programme Coordinator Margerita Pulè said: “We would like everyone in Malta and Gozo to have the chance to take part in Valletta 2018. Projects like Darba Waħda foster solidarity between generations through play, creativity and imagination”. Darba Waħda bridges the generation gap between children and the elderly through storytelling, drama, games and other fun activities. The free sessions, which are led by applied drama practitioner Anna Formosa, are taking place in Żabbar, Siġġiewi and St Julian’s till June. The project is open to children aged nine to 12 and adults over 60 hailing from Marsaskala, Żejtun, Żabbar, Sliema, St Julian’s, Siġġiewi and Żebbuġ and will again be taking place in October 2016. Project Leader Anna Formosa said: “It is precious seeing young and old participants getting on well and having fun together. The older ones, with huge smiles on their faces, say that if it weren’t for the young ones they would not engage in such activities and look forward to each session from week to week”. “A lot of learning is going on as well. Some of the participants are fantastic story-tellers and the young ones listen to them in awe and admiration. One of the participants told them the history of the Maltese bus as he was a bus-maker himself, and brought them artefacts such as old Maltese coins and old non-electric irons. Older people develop a sense of belonging and the young ones grow up respecting the elderly.” Anna Formosa added. For further details visit www.valletta2018.org or e-mail us at [email protected].